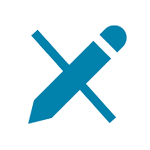 iRISupply is a simple-to-use software tool that automates the process to capture implant and supply usage into your Electronic Medical Record (EMR). For clinicians, the system provides rich and actionable analytics to help drive efficiencies in your surgical and interventional suites. iRISupply creates truly needle-moving improvements in charge capture and revenue to your EMR using RFID technology. iRISupply is proven to increase charge capture by 18% over a bar-code based system. Business intelligence from the data derived from iRISupply can help predict usage patterns for your medical devices and lower spend by as much as 20%. 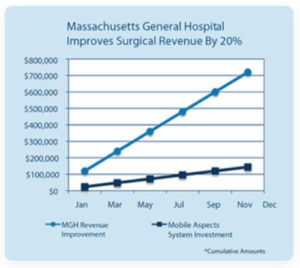 Massachusetts General Hospital (MGH), a leading academic medical center in Boston, MA, published a non-sponsored, independent research study about Mobile Aspects iRISupply surgical documentation and revenue cycle improvement solutions within the interventional radiology (IR) department at MGH. The entire article can be found in the Journal of American College of Radiology (JACR). 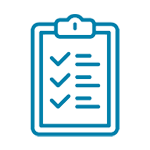 With iRISupply, you can improve your clinical documentation and make sure your team is capturing all the devices used in each procedure. iRISupply has been proven to show an 18% improvement over a bar-code based capture system in a hospital setting. Even greater improvements can be expected over the manual systems that many hospitals still use. Capturing all the items used in each case ensures that your hospital is receiving all the revenue it is owed for its work. With insurers scrutinizing and potentially penalizing any over-billings and under-billings, you must be sure to include only legitimate items in each patient bill. 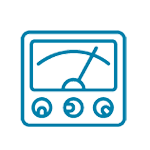 iRISupply RFID technology is a great way to automate your charge capture processes and ensure that your data is accurate and defensible. Imagine a day without button-clicks, drop-down menus, bar-codes and stickers. How much time and frustration would this save you while documenting items used in a case? 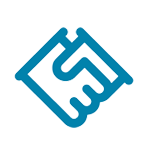 iRISupply accomplishes this by using RFID technology to create hands-free data capture and integrating directly with your EMR. iRISupply also makes sure the data is more accurate and timely, leading to real ROI for your hospital. 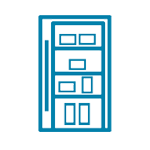 Hospitals continue to be overrun with the same inventory management challenges that they have faced for decades. Does your department face any of these challenges? Do you spend too much time trying to make sure you have the products you need on the shelf when you need them? Do you wish you could spend more of your time on patient care instead of administrative tasks? 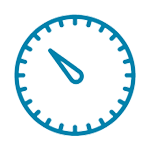 iRISupply has been proven to reduce time spent on manual processes by 30% across your department. iRISupply integrates directly with your hospital’s EMR, materials management, billing and other hospital information systems (HIS). This allows for the real-time, effortless documentation of your item usage without manual entry. Mobile Aspects will customize its interfaces to match your hospital’s systems and all data will sit behind your hospital’s firewall to ensure its security.